16 Gornals JB, De la Serna-Higuera C, Sanchez-Yague A et al. Endosonography-guided drainage of pancreatic fluid collections with a novel lumen-apposing stent. Surg Endosc 12.12.2012; [Epub ahead of print] DOI: 10.1007/s00464-012-2591-y. 25 Isayama H, Nakai Y, Kawakubo K et al. The endoscopic ultrasonography-guided rendezvous technique for biliary cannulation: a technical review. 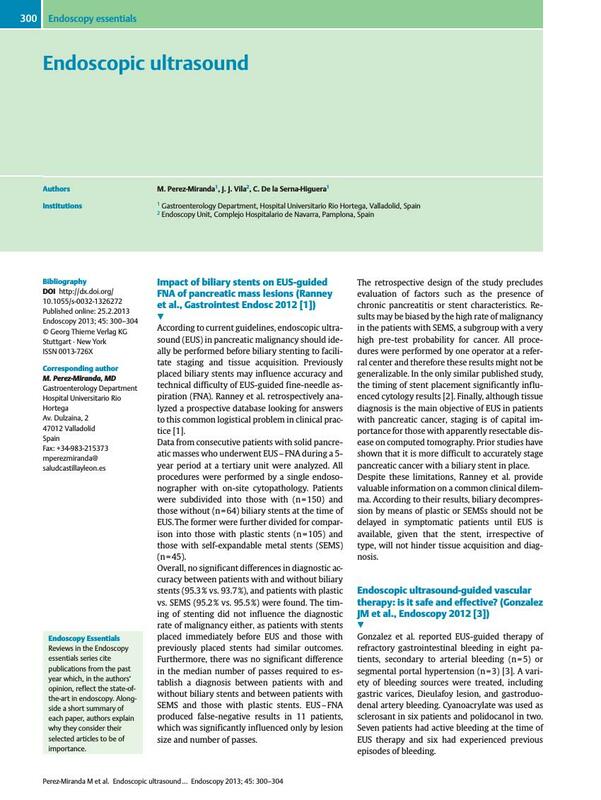 J Hepatobiliary Pancreat Sci 2012; [Epub ahead of print] DOI: 10.1007/s00534-012-0577-8.